The European tour moves from Africa to the Abu Dhabi Golf Club in the UAE for the HSBC Golf Championship. This is the first of two Peter Harradine designed courses hosting the European Tour, the other being the Doha Golf Club which hosts the Qatar Masters next week. The course weaves through undulating terrain and features palms, ornamental trees, shrubs, seven saltwater lakes, strategically placed bunkers and generous greens. The course opened for play in October 2000, where its iconic clubhouse in the shape of a falcon with outstretched wings underwent a refurbishment for last year’s event. The course also had a bit of a make-over for the 2011 tournament, with new tees on the 8th and 10th, the 6th and 14th were extended taking the total yardage to a testing 7,590 yds, which will test one of the best fields to be assembled for a golf tournament so far this year. Rory McIlroy 9/2 and Tiger Woods 15/2 are both in the field this week and I do fancy Rory to win, but as always when those two are in the field the odds are not that great. So we will look for other players who we feel will be challenging on Sunday should those two have a bad week. This event has been played seven times and Martin Kaymer 10/1 has managed to win three of those, so to say that the Ryder Cup hero loves this track would be an understatement. Martin seemed like he was getting back to playing some of his best golf at the back end of last season with two Top 10 finishes in his last three events, one of those being a tied for third at the SA Open Championship. 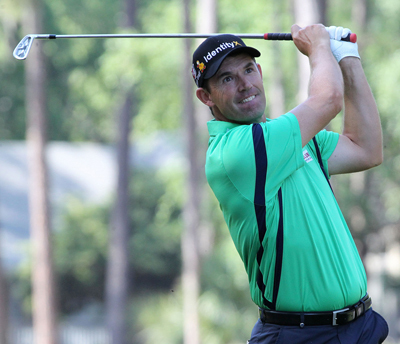 Another player that looks like he’s getting back to his best is Padraig Harrington 28/1 who finished last weeks Volvo Golf Champions event with a final round 68 to take forth place. Padraig had Top 20 finishes in three of the four majors last year with two of those being Top 10 finishes in the Masters and US Open. You can be sure he will be targeting both of those majors again this year to try and complete his set of major trophies and would love an early season victory before the Masters in April. 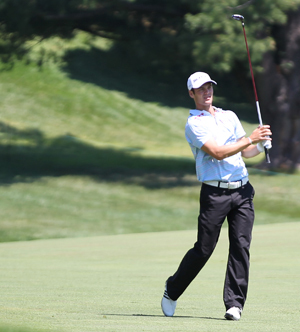 Justin Rose’s 14/1 European Tour record for 2012 made for impressive reading. Competing in thirteen events, he finished outside of the Top 25 on only two occasions, nine of the those eleven tournaments saw him finish inside the Top 10 and winning the WGC Cadillac Championship. That is a fantastic record and don’t be surprised to see him challenging again this week and getting 2013 off to an even better start. I am going to stick with Branden Grace 45/1 again this week, he got off to a bad start when defending last weeks Volvo Golf Champions but a final round 67 saw him move up the leaderboard and make it inside the Top 10. Branden had four wins last year and has started this year well making the Top 15 in two of the three events he’s played and as I said last week I think this could be a defining year for the lad from Pretoria. 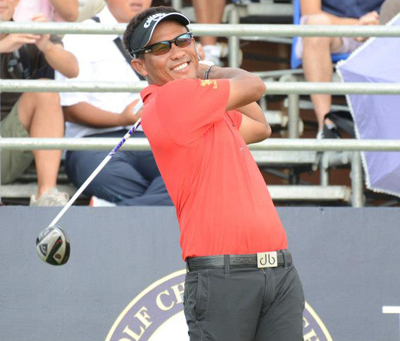 Thongchai Jaidee 66/1 finished well at last weeks Volvo Golf Champions his opening round of 65 saw him take the lead in the first round. He went into the last round in second place, but a final round of 68 actually saw him drop down into third place. Thongchai finished last season with five Top 20 finishes from his last six events and he’s started this year in confident mood. I must admit I was surprised to see Jaco Van Zyl 125/1 this far down the betting odds, he’s already had a Top 10 finish at the Nelson Mandela Championship, add that to five other Top 10 finishes last year and a respectable Top 25 finish at this event last year, I think Jaco could be worth a couple of quid here this week, especially at these odds.